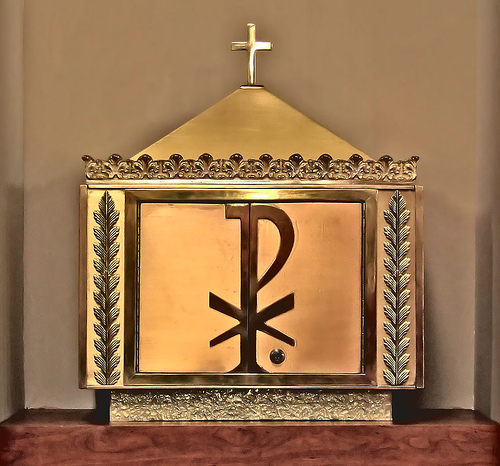 Just weeks after being appointed a new young pastor, parishioners at St. Agatha Catholic Church were baffled this morning when they saw a large, gold, “magical box-looking thingy” sitting directly behind the altar as they entered church. Welk is now being heralded as a hero after calmly rushing all of the parishioners outside where she proceded to dial 9-1-1. At press time, state officials have been called to the scene after St. Agatha’s new pastor was seen on his knees before the shiny gold box, reportedly transfixed and completely succumbing to the yet to be identified powers of the box.